Whether it’s sensitive, large, in many parts or just difficult to move, data transfer is ubiquitous and Maytech’s speciality. We are always excited to hear how our customers have stayed ahead of the curve and overcome data transfer problems in their industry. But rarely does such thought leadership get the recognition it deserves. Whatever your business bugbear, it’s likely that we’ve solved this problem before so why not get in touch to see how Maytech can help you? If you’d like to share your story with us then please contact our Marketing Team who’ll be happy to hear from you. When Cosgrove Hall Fitzpatrick (CHF) realised it needed a secure file sharing solution that could handle its large media files, they followed a recommendation and started a trial with Maytech. More than two years later and the business’ top techie Gary Noden is still singing our praises. What to Do Media chose Maytech’s FTP-Stream service 10 years ago and hasn’t looked back since. Digital Media Director Michelle LaCour says it is the security, professionalism and ease-of-use that has convinced her to continue using Maytech for her company’s file sharing and storage needs. Columbus Logistics turned to Maytech's FTP-Stream because its in-house FTP system was clunky and unreliable for it's Electronic Data Interchange. Thanks to Maytech, Columbus has discovered new levels of productivity. In 2009, Grossman Marketing Group's insecure, complicated file sharing systems were causing a lot of headaches for its staff and customers. Since switching to Maytech, customer satisfaction hasn't been higher. Design specialists DNB Creative struggled with expiring links when it shared important files with clients. Then they incorporated Quatrix® to enable fully branded, specialised large file transfer solutions. How do you manage the secure file transfer of millions of files across the globe without losing a single file and meeting every deadline? Simple. 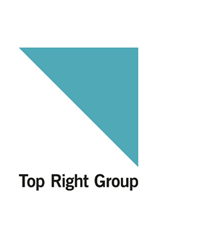 Just do what the Top Right Group did.